At Meliá, we're passionate about service and exceeding our customer's expectations with every sensation, every conversation and every detail. We are looking for a passionate and creative Assistant Human Resources Manager. You will be responsible for giving support to the Human Resources Manager in making sure all planning, company policies are being follow in terms of recruitment, training, development, safety and personnel administration with the aim of attracting and retaining the correct talent in each of the positions/departments of the hotel and that way there is a good work environment, wellbeing and productivity, and to contribute to success of Melia Hotels International. Minimum of 2 years’ experience in a similar position, in 4*/5* hotels. Pre-Opening Experience will be highly valued. Bachelor’s Degree or Advance Diploma in Human Resources, or related field in social science studies. Experience in dealing directly with recruitment agencies, will be highly valued. We are looking for a Security Manager! You will lead the security office functions and empower the team members on a daily basis to ensure fulfillment of exceptional guest service. You will have to strive to continually improve guest and team member experience and maximize the performance of the team and hotel. 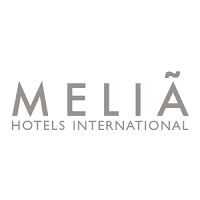 Your main mission will be to ensure the image and conditions of rooms and all common areas, are being presented to guests according to the established standards by the Melia Hotels & Resorts brand, in order to present a quality service and contribute to operational, economic and personnel development objectives. You will be responsible for promoting a magnificent work environment, and be involved in the development of associates within the housekeeping department.